Christmas can be one of the most difficult times of year in war. Away from family. Freezing temperatures. Armaments going off all around. Well, except during Christmas 1914. In the photograph we can see troops from Germany and Britain staring in to the camera. One appears to be doing some buttons up, while others seem to be smartly dressed in scarves and long coats to fend off the cold. The photo features German soldiers of the 134th Saxon Regiment with the British Royal Warwickshire Regiment. 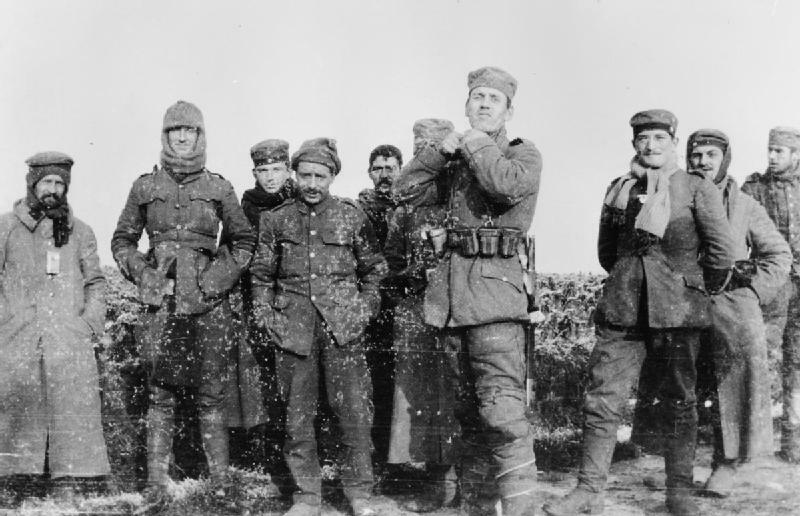 As many troops did that Christmas, they met in No Man’s Land on the Western Front. The photo is dated December 26, 1914. Want to know more about the Christmas Truce? Take a look at the interactive essay in the new edition of History is Now digital magazine. Click here to find out more!